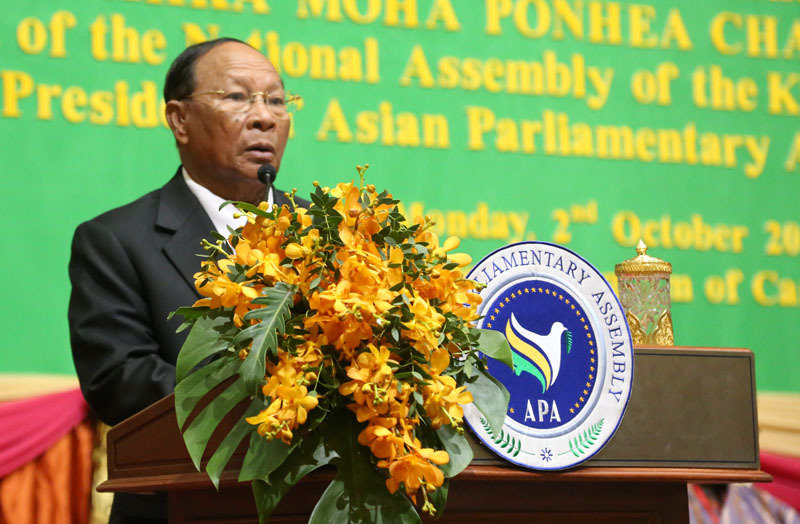 The First Executive Council Meeting of the 10th APA plenary session has been inaugurated on the morning of 2nd October 2017 under the high presidency of Samdech Akka Moha Ponhea Chakrei HENG SAMRIN, President of the National Assembly and APA President, at Sokha Phnom Penh Hotel and Residence. 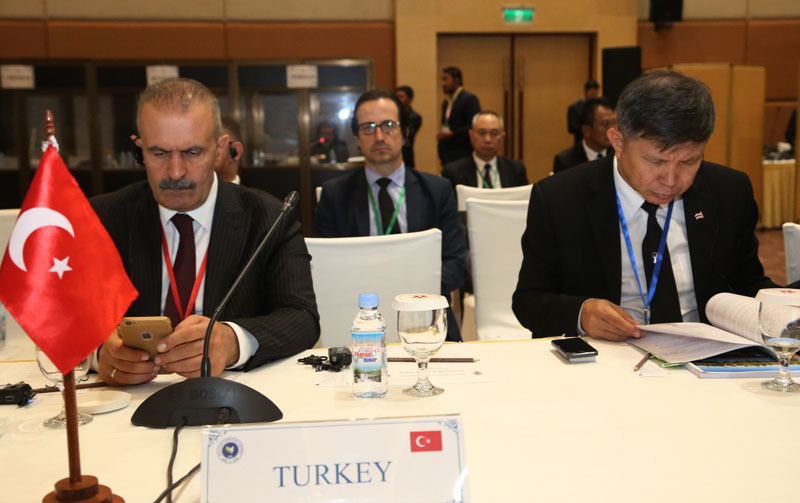 There are 140 parliamentarian delegations from 26 APA member countries attending this meeting. Speaking at the ceremony, Samdech President highly valued the meeting as meeting of regional people representatives for sharing ideas, visions in building peace and harmony to the region. Samdech Akka Moha Ponhea Chakrei said that the meeting of Asian nations at this time has shared a positive influence on extinguishing violence, disputes and other crises affecting the region and the world, and we have to work together to contain and avert any attempted hostility. 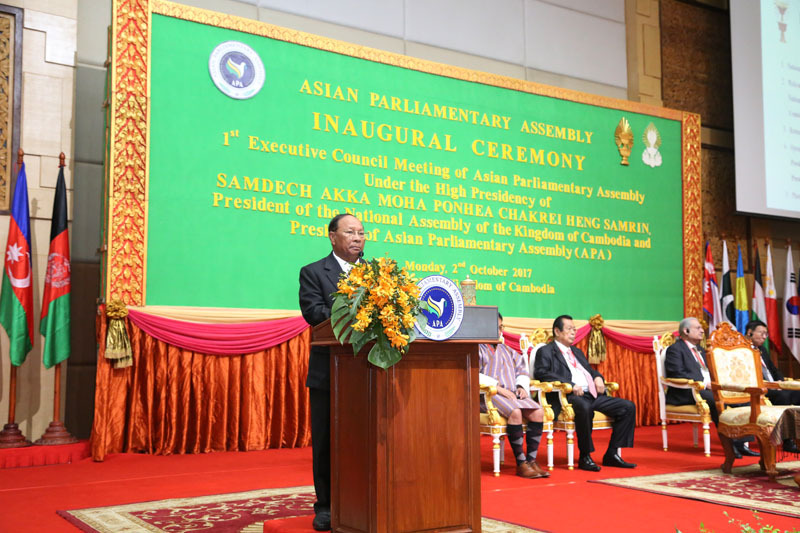 The President of the Asian Parliamentary Assembly said that during these two consecutive years, the Cambodian Parliament has made efforts and promoted the APA performance and progress of the work of APA towards becoming an energetic and efficient regional legislative body. H.E. 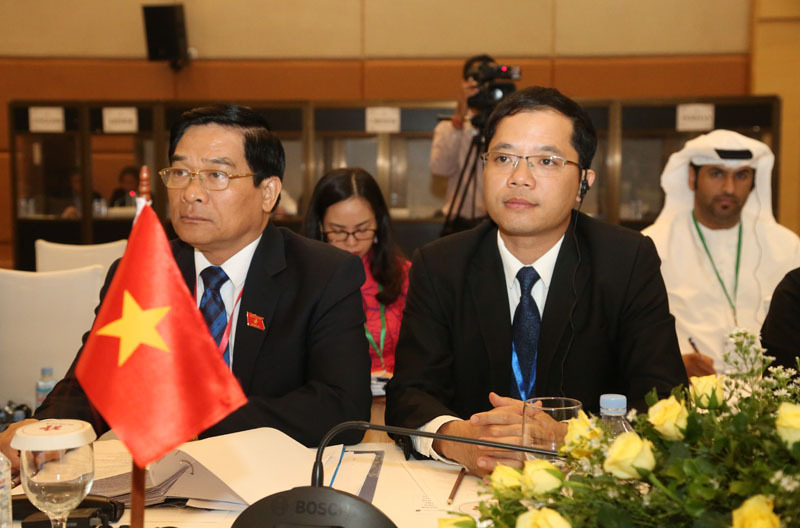 Dr. Nguon Nhel, Second Vice President of the National Assembly and Chairman of the organizing committee said in the meeting that all the Cambodian citizens have a great honor and pleasure to host with pride the 8th APA plenary session in 2015 and the 9th plenary session in 2016, which clearly showed the world the crucial role of parliamentary diplomacy in Cambodia and its substantial contributions to regional and global integration. At the same time, H.E. Dr. Vice President of the National Assembly has reported to Samdech President and the whole meeting the work that have been done so far. - From February 19 to 23, 2017, the Standing Committee on Political Affairs chaired by the Islamic Republic of Pakistan met in Islamabad passed seven resolutions. 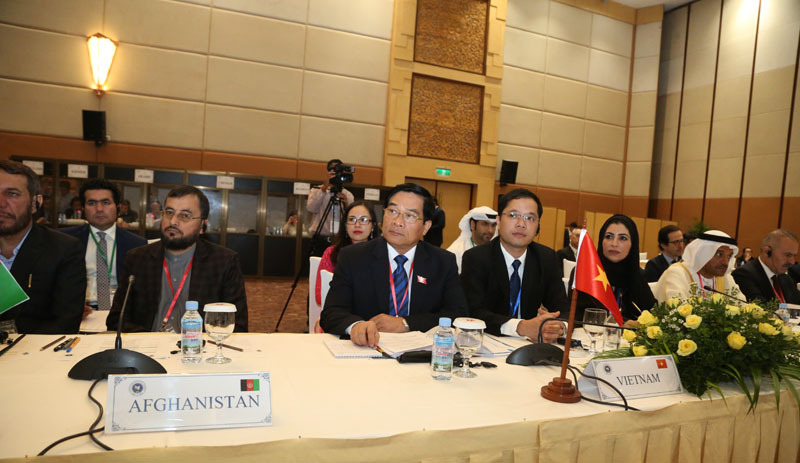 - Between April 24 and 27, the Standing Committee on Economics and Sustainable Development chaired by Bahrain met in Manama and adopted six resolutions. 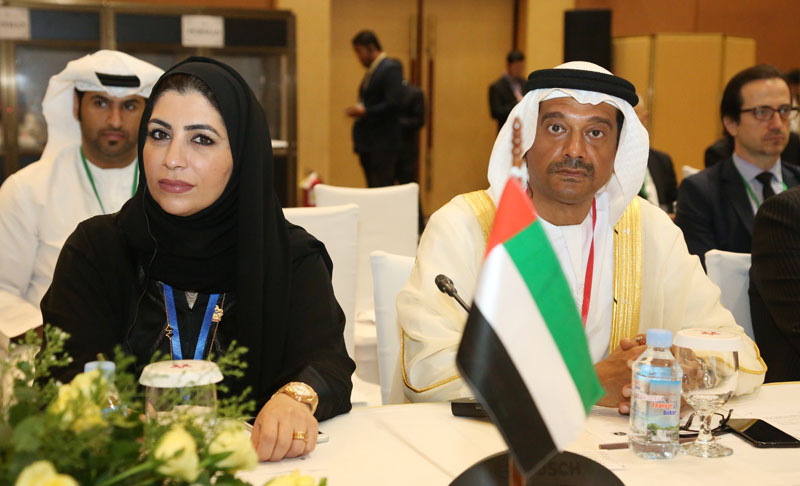 - On May 22 and 23, the Standing Committee on Staff and Financial Regulations chaired by the United Arab Emirates met in Abu Dhabi and passed one resolution. - And on September 1 and 2, the Standing Committee on Social and Cultural Affairs chaired by Bhutan met in Thimphu and adopted 10 resolutions. H.E. Dr. Nguon Nhel said that there are now 24 resolutions to be submitted to this First Executive Council Meeting for examination and consideration. 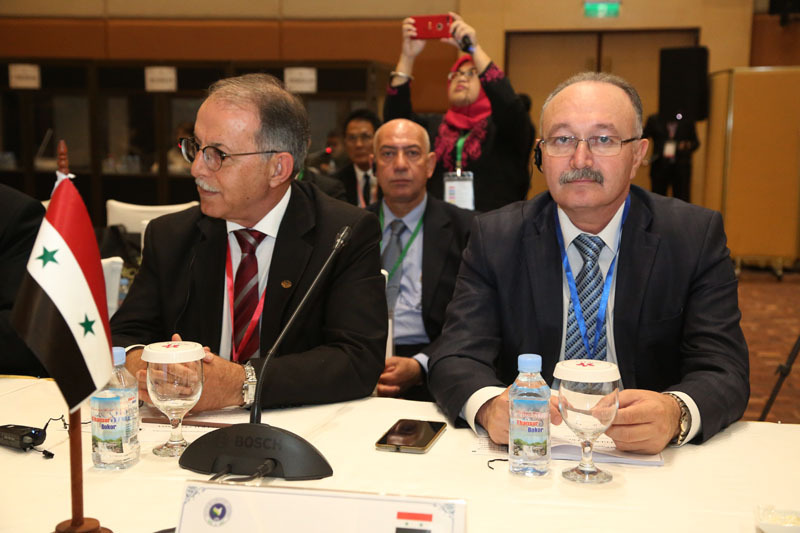 The outcome of this meeting will be discussed during the Second Executive Council Meeting two days bfore APA’s Tenth Plenary Session in Turkey. H.E. 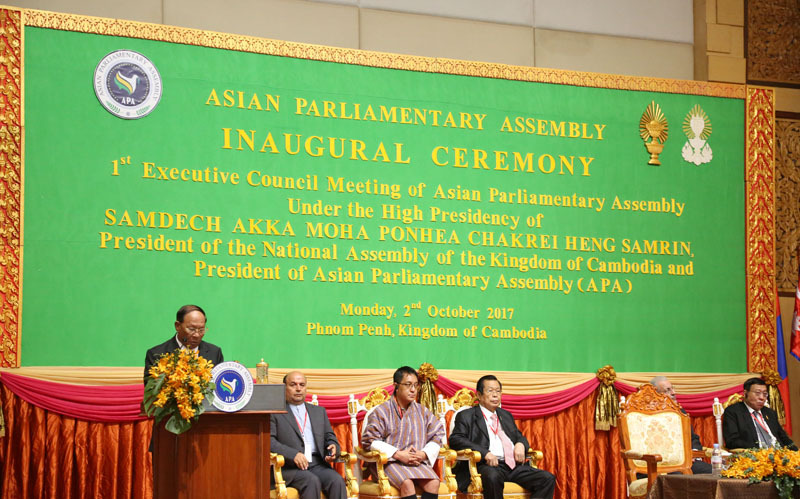 Dr. Mohammad Reza Majidi highly valued and appreciated the Parliament of the Kingdom of Cambodia for presiding over the meetings and conferences during the past two years, particularly the great success in organizing the 8th and 9th APA plenary session. H.E. expressed the appreciation in coming to this beautiful city of Phnom Penh and participate in this crucial First Executive Council Meeting for the discussion of 24 draft resolutions adopted so far. Samdech Akka Moha Ponhea Chakrei HENG SAMRIN, the President of APA, has encouraged the parliaments from APA member countries to share their views and exchange good experiences as a firm foundation towards realizing the supreme common wishes and aspirations of all nations in Asia, transforming Asia into a region of non-violence, disputes or oppression, a region in which all people can live with dignity, properity, harmony and both physical and inner peace.